"This is an astonishing thriller...with gorgeous writing and a stunning conclusion, this novel has catapulted onto my shortlist of the best suspense novels I've read all year"
C.J. Cooke is an acclaimed, award-winning poet, novelist and academic with numerous other publications under the name of Carolyn Jess-Cooke. Born in Belfast, she has a PhD in Literature from Queen's University, Belfast, and is currently Lecturer in Creative Writing at the University of Glasgow, where she researches creative writing interventions for mental health. I KNOW MY NAME was C.J. 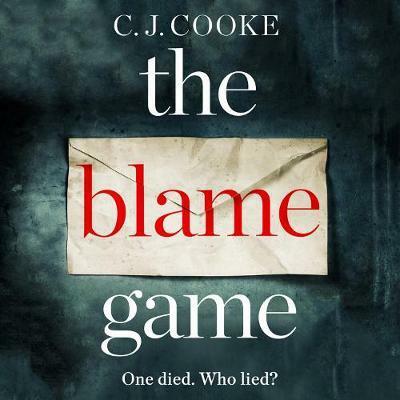 Cooke's first psychological drama and was inspired by her creative work in mental health.There is a TV adaptation is in development.